We offer wide array of Stainless Steel Tubes that are made from premium quality Stainless Steel materials. Tested for quality performance, durability and strength, the Stainless Steel Tubes, offered by us, have carved niche for themselves in markets across the globe. 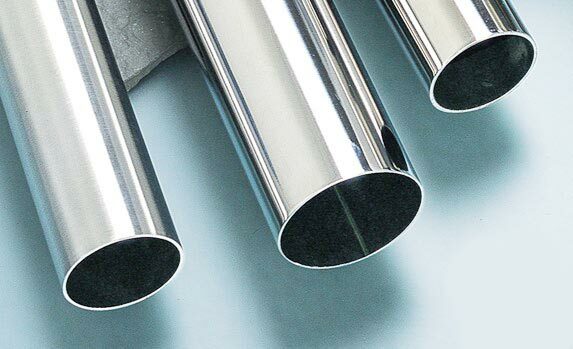 Widely used in numerous industrial applications like Chemicals, Paints, Petroleum and other, the Stainless Steel Tubes, provided by us, are extensively demanded. We offer the Stainless Steel Tubes in different specifications so as to meet the varied requirements of buyers. Bulk orders of the Steel Tubes are processed by us as per the specific requirements of the buyers. One can obtain the Steel Tubes at competitive rates. Why our Stainless Steel Tubes?